Lavender, Chamomile, Pink Grapefruit, Honey (unscented), or Oil Balance (with essential oils for Acne). For Young oily skin, using morning and night is fine. 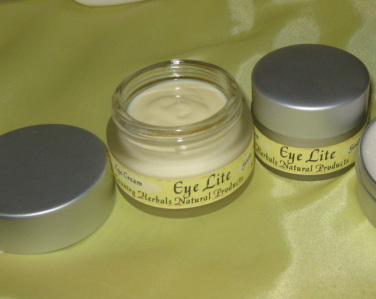 For mature dry skin, we exude valuable oils over night, which protect our skin. Removing this oil can increase dryness. Use warm water for morning cleansing, then use a toner, and just use cleanser at night. 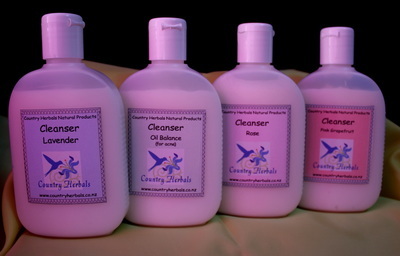 All cleansers are gentle on the skin, made with quality ingredients and are safe to use. General guideline: Use before applying your moisturiser. These help to remove any left over dirt and grime, and remove any missed cleanser. They help to close the pores, preparing the skin for the next step - Moisturising. To prevent contamination, use a clean finger, or preferably a spatula in your product. Taking just a tiny amount, pat gently (along the eye socket bone) and just under the eyebrow. Use your ring finger, which exerts the least amount of pressure, and the gentle patting motion also helps your skin absorb these precious oils. You only need to use about the size of half a pea, for both eyes. I like to think of a grain of rice for each eye. You can use the product just at night, or twice a day depending on how dry your skin is. These three products are high in vitamin C and Green Tea Extract for healing, building new cells, and helping with sun damage. * Sunco Firm and Tone - with Yarrow infused oil for firming and toning. * CAN BE USED ON ALL SKIN TYPES. Sunco Cream: Great for eczema, teenagers, after shaving. Sunco Lavender: As above, but with the lavender fragrance. Sunco Apricot: For normal to dry skin. Apricot Fragrance.